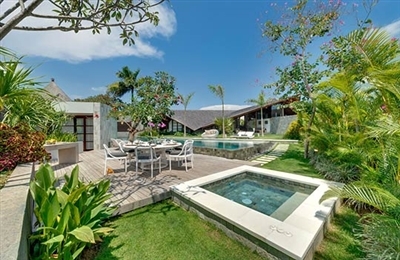 This is a very classy contemporary-styled villa that truly represents luxurious modern Bali living, and fits perfectly into its fashionable neighbourhood. 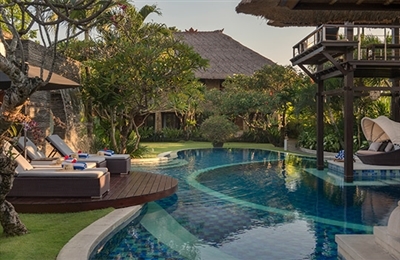 Villa Cendrawasih was only three months old at the time of our visit (August 2013) and we were very impressed by the high quality of its fixtures, fittings and furnishings. 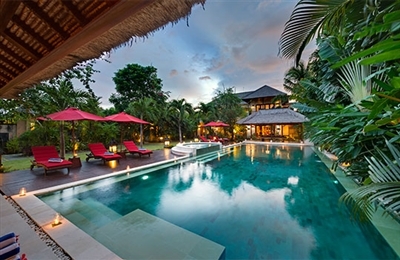 It’s a 900m walk from Jalan Petitenget’s shops and restaurants but only 400m from the beach. We liked the fact that the huge living and dining room could either be open to the pool and garden or closed off and air-conditioned, something that many villas don’t offer their guests: while visitors from colder lands might relish Bali’s balmy nights, those less enthused by an equatorial climate may not, so it’s nice to have the option. We can recommend heading down to the beach (along the secret passageway) for sunset drinks – a Bali ritual for residents and visitors alike. Not only is it very relaxing but it’s also a great way to meet and have a chat with fellow holidaymakers. It was a real privilege to stay at Villa Issi, this is a gorgeous, funky, fancy pad where no expense has been spared. It’s all about space, ultra-modern architecture, more space, high-technology and super comfortable furnishings, ranging from leather chairs to beanbag-sun-loungers. The only antiquated elements at the villa are the 200-year-old frangipani trees. Beautiful! 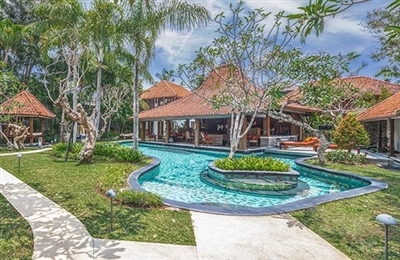 Everywhere there are walls-of-glass that open to the balmy Bali breezes. The elevated deck that bridges the swimming pool is a fabulous feature and the kitchen is a dream, we’d never before seen such a state-of-the art fridge! In fact, there are surprises at every twist and turn, including lots of places to escape to and be on your own. 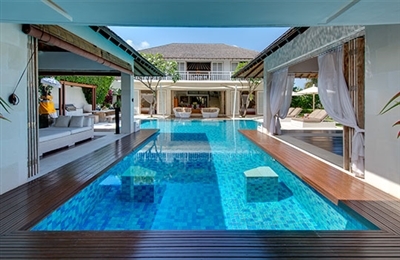 This is a really exciting villa to stay in.